Self-Standing Professional Bldg. 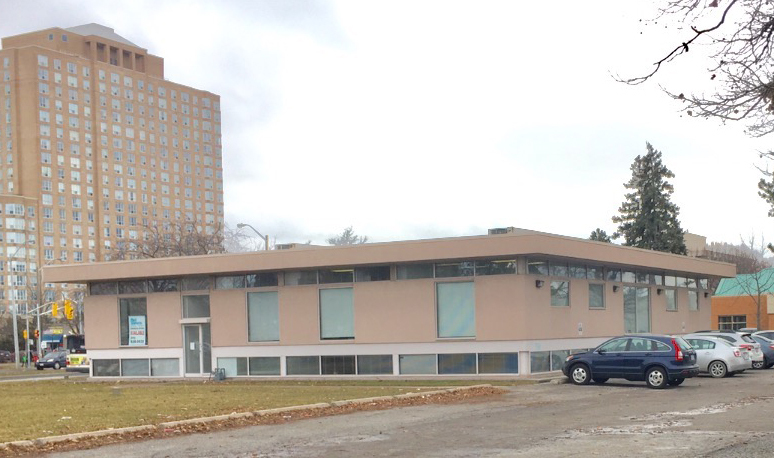 Corner Overlea Blvd / Thorcliffe Park Dr; Ideal For Doctors/Dentists / Medical Clinic And/Or X-Ray, Lab, Diagnotic Clinic Or Professional Office Use. Unit B Lower Level Available 2260 Sq. Ft. Bldg Features Universal Elevator From Entrance To All Levels. Other Building Tenants Include Pharmacy, Dentists, Physiotherapy Clinic and Chiropractic Clinic. Ample (On Site) Parking For Tenants & Clients. Convenient To Ttc. Gross Rental @ $6500/Month + HST. Includes Central Ac, Heating, Hydro & All Common Building Expenses. Universal Washroom In Lower Level To Accommodate Wheelchair & Gurney / Stretcher. Bright Space, Fully Sprinklered, Windows In Every Office. Gross Rent Incl Tmi + Annual Escalations – Tbn.